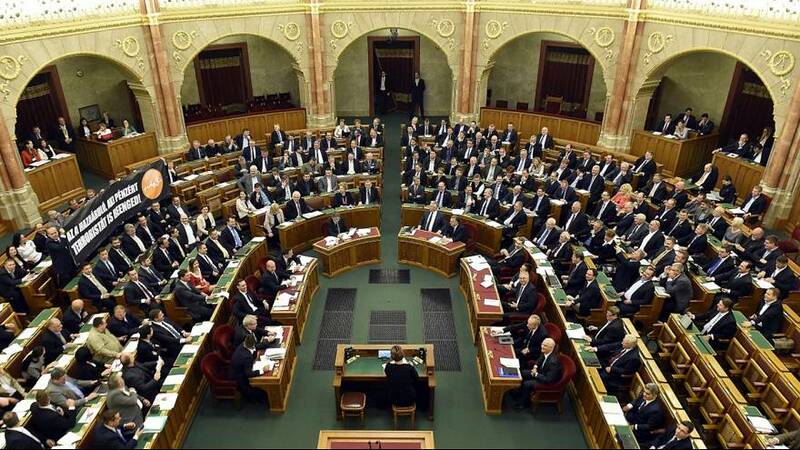 The parliament in Hungary has narrowly rejected a plan to ban the resettlement of migrants. The constitutional amendment proposed by Prime Minister Viktor Orban got 131 votes in the 199 seat parliament, just short of the two-thirds majority needed. It was the far-right Jobbik party’s boycott of the parliamentary vote, which led to its failure. They had pledged to support the ban if Orban threw out plans to allow foreigners to buy residency rights. It is a second setback for Orban who had pushed for the vote after an October referendum, in which three million Hungarians voted to reject EU migrant quotas. However, the turnout was too low to validate the result. Orban’s determination to stifle the EU’s migrant resettlement scheme has put him on a collision course with Brussels. As the migrant influx rose last year, Hungary erected a razor-wire fence to stem the flow.